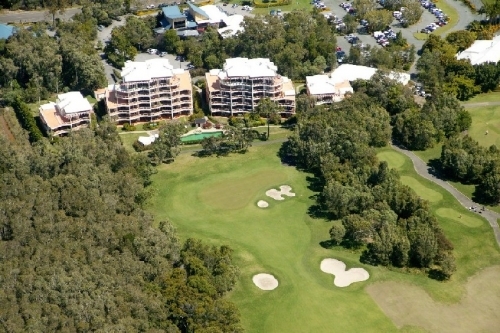 Magnolia Lane Holiday Apartments Twin Waters offers unique golf resort accommodation. 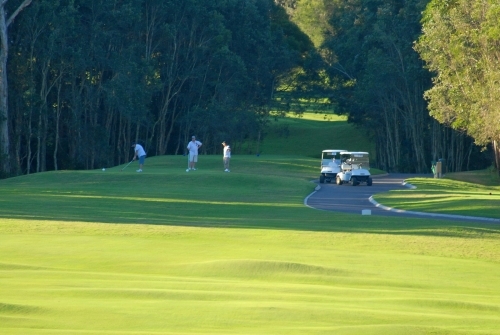 Spacious luxury apartments overlook Twin Waters Golf Course with magnificent views up to Mount Coolum. 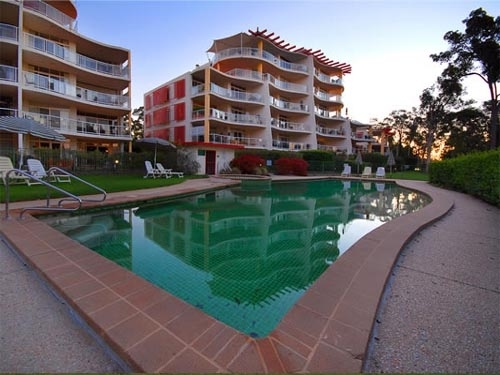 The complex is complete with pool, spa and barbeque areas all set in magnificent tropical & lush gardens giving uninterrupted views over the 9th fairway & green and surrounding environment. 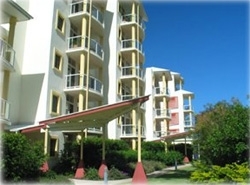 Apartments have 1, 2 or 3 bedrooms. There are two bathrooms, well equipped kitchen, laundry facilities and separate lounge/dining. Satellite Digital TV, DVD player, I-Phone Dock and Free WI-FI in all apartments. Spacious covered balconies with outdoor tables and seating. Free secure basement parking, lifts to all levels. 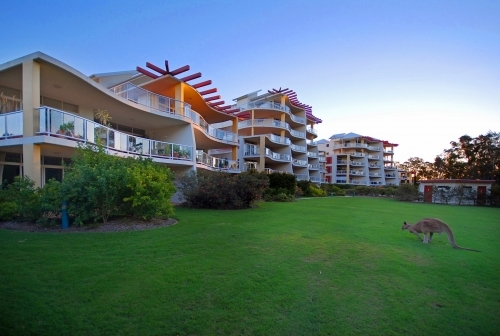 Magnolia Lane Holiday Apartments - Perfectly located in the middle of the Sunshine Coast – easy drive to Caloundra, Mooloolaba, Maroochydore, Coolum Beach and Noosa. 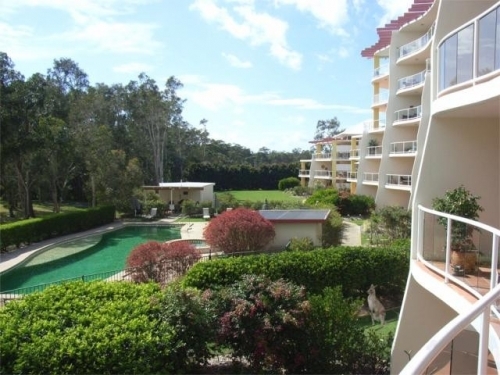 You will love these impressive apartments with large living areas and the spacious balconies allowing you to enjoy the scenic panorama of Twin Waters Golf Course and the surrounding environment - and yes - those are Kangaroos on the course !! !